Current position Senior Officer for Quality Infrastructure and Notifications, Ministry of Trade and Industry . "Young Cells Scheme is a unique and life changing experience. 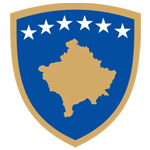 It gives you the remarkable opportunity of studying in developed countries where you educate yourself at the most prominent Universities, an opportunity otherwise hardly possible for young Kosovo students. It also assists you directly to launch your professional career by providing you the possibility to work for the public institutions at the central or local level where you contribute professionally for the European integration process and beyond. Above all, it educates you on the European values of human rights protection, equality, rule of law and many more, which follow your personal and professional life persistently!". Current position: Senior Legal Officer, Ministry of European Integration . Current position: Senior Officer for Public Administration Reform, MSc in European Politics and Policies, KU Leuven, Leuven, Belgium. .